“And he told them to give her something to eat” (Mk 5, 43). This ‘throw away’ remark is one of those unique features of Mark’s gospel that gives his account a true note of authenticity. Only someone present could notice such a detail, and only Mark’s gospel includes Our Lord’s closing command to the parents of the restored child. Accurate reporting is always true to its sources, and Mark here becomes transparent as a writer, as he lets Jesus’ miracle speak for itself. Mark’s style is terse and brief, but in these miracles the words and works of Jesus radiate. Touch is the most important sense in today’s gospel. Flesh on flesh, as when Jesus takes the dead girl by the hand (Mk 5, 41), or even touching the clothes of Our Lord, as when the woman with a haemorrhage presses though the crowd (Mk 5, 33) communicate divine healing and power. It is a perfect demonstration of the sacramental principle, whereby material things actually effect the grace that they signify. The woman was full of faith and courage, but she needed to reach out and touch the hem of Jesus’ garment to be saved and made well again. If we accept the reality of the flesh of Christ, then we accept the reality of the Church. Jesus is the sole mediator between God and man, but we need him to communicate to us through the flesh if his salvation is to mean anything to us. No human being could see God face to face and live. Only when God stoops down to us by becoming one like us can we become fitted for heaven. If the body of Christ is a vital part of him for our sakes, then the Church cannot either be an optional extra. “He was amazed at their lack of faith” (Mk 6, 6). Miracles are not magic. Just as a gift given cannot be given unless it is received, so Our Lord’s healing attention cannot be effected if it is not received by faith. This is not to diminish the power of God, who holds both believers and unbelievers in being every moment of their lives, but it does underline humanity’s vital need to accept Jesus as God. Our heavenly Father respects human ways of doing things, and will not compel us to join him in paradise. He awaits our response. How Jesus must have changed. No account of the hidden years of Christ survives, but this text tells us how utterly normal Jesus would have been. Learning a trade from Joseph (Tiberius Caesar was building the town of Sephoris next to Nazareth at the time, and would have needed carpenters), leading the life of a devout Jew in the midst of an extended family (Mk 6, 3), Jesus would have learnt to know and love his neighbours, and vice-versa. His amazement was the shock of rejection by his nearest and dearest. His honour would have been forged among them. to come to Mass regularly and be lapsed. Where does our heart lie? Jesus’ principal battle in Mark’s gospel is with the spiritual forces of darkness. In this moment of joyful apostolic activity, only one aspect of it is emphasized: “giving them authority over unclean spirits” (Mk 6, 7). The devil and his angels are active and potent enemies of humanity. Their malice never sleeps and their hatred of humanity knows no bounds. Yet their kingdom is in ruins through the advent of the Messiah who, as a man, breaks their hold over the weakness of men. This divine power can be bequeathed to those apostles chosen for this vital ministry. It is through apostolic succession that the power to exorcise demons finds its proper place in the Church. Bishops share the fullness of the priestly character of Christ, and it is the Divine Master who conveys this power. Thus, every bishop has the power to exorcise, and is required to appoint a diocesan exorcist to act in his name. Faint faith, sinful lives, structures of sin embedded in society, have all made this ministry more important than ever. 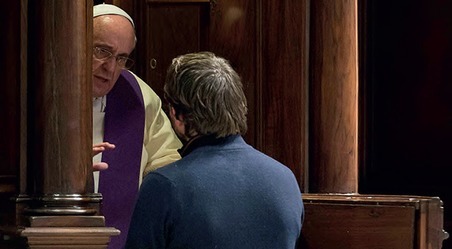 Recent studies, especially by Fr Gabriele Amorth, have highlighted a clear, urgent pastoral need for exorcisms in our modern secular culture, as manifested in a wide range of phenomena. We can make two mistakes about the devil. The first is to believe he does not exist, and the second is to believe he is more powerful than he is. Satan can work much more easily in those who have no strong shield in Jesus Christ. Recourse to soothsaying, tarot cards, new age therapies and the like only use our God-given free will to invite a personal force for evil more powerful than we are to take charge of our lives. But Jesus Christ is in charge of of our lives. In baptism all evil influence was exorcised from us. So if we take our baptismal promises seriously, we need not fear and we do not need any other source of spiritual security. There is real poignancy in this scene. 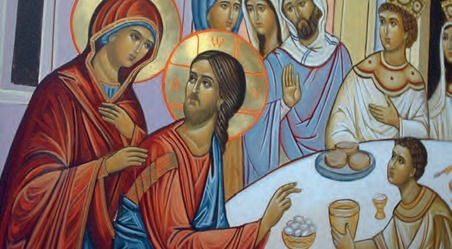 The joy of the apostles at the first fruits of their ministry is matched by the care and concern of Jesus: “You must come away to some lonely place all by yourselves and rest a while” (Mk 6, 31). Yet Jesus must have felt searing grief and heartbreak at the death of John the Baptist, just reported in the gospel (Mk 6, 17-29). The human need of the apostles to rest after their labours is matched by Jesus’ human need to grieve in quiet for his cousin. Prudence dictates a time apart. But Our Lord and the apostles are victims of their own success. Divine goodness and healing have only highlighted in people’s hearts their aching need of Jesus. They may not understand who he is fully, or even catch every nuance of his teaching, but the poverty of their hard lives has been matched now by a raging spiritual thirst. All concerns are immediately subordinated to the need to be with Jesus, and they guess through their local knowledge where Jesus’ boat will land in the Galilean wilderness. Not just a few, but whole towns waited for him in anticipation (Mk 6, 33). truth that will set them free. We need to learn that no time is inconvenient to approach the Lord. Go to him, be refreshed. A desert location with no food, and no human means of finding or even affording any is a desperate situation – though one not unknown in Israelite history. Multiplying loaves in the time of Elisha (2Kgs 4, 4244) was a sign of the divine origin of his gift of prophecy, and Jesus’ repeating and bettering Elisha’s feat would have been instantly recognized by the more devout members of his audience. “This really is the prophet who is to come into the world” (Jn 6, 14) is the cry of one who sees fulfilment of prophecy, but does he see the sign? The irony here is that Jesus is the prophet who is to come into the world, though he is much more. A human prophet can be a human king, or lead an earth-bound rebellion against the Romans, but Jesus is not just human: he is God the Son. His kingdom is not of this world, and only those who believe through seeing the signs he works can receive the life that he gives (cf. Jn 18, 36; 20, 30-31). The people pointedly misunderstand Jesus, and he slips quietly away from them. His divinity shows also in his escape. from this tremendous Lover!” (Francis Thompson in The Hound of Heaven). This is the most shocking saying of Jesus in the whole gospel: “the bread that I shall give is my flesh for the life of the world” (Jn 6, 51). John could have used the more abstract Greek term, ‘soma’, when referring to ‘flesh’, but he pointedly uses the most physical expression available, ‘sarx’. This means flesh and blood reality. Giving human flesh to eat is offensive to practically every human culture, let alone to the Jews, whose concern for ritual purity in the preparation of food occupies much of the Torah (Lv 11, 1-47). If this speech were a mere marketing ploy for a new religion, Jesus could not have said anything more fatal to his own interests. Most of his hearers will stop following him after this, and even the apostles are only clinging on to him by the skin of their teeth(Jn 6, 66; Jn 6, 68). But Jesus is unrepentant and uncompromising. The manna that will sustain and preserve the new Israel in her desert wanderings from one generation of the Church to the next “is my flesh for the life of the world” (Jn 6, 51). This is not cannibalism, which is the eating of dead human flesh, but rather the consuming of the living flesh of the Lord Jesus. Unlike normal food, which we absorb into our systems and which becomes part of us, this heavenly manna will absorb us and allow us to become living parts of the Body of Christ. Like a mother who feeds her child on her own milk, God feeds his people on his own living flesh, so that through physical means divine life might be communicated to us. Only God could think of this: for man it is too controversial. Not even God can give more than himself. It is therefore the least we can do to give ourselves entirely to him. The Catholic Eucharistic teaching of transubstantiation draws richly on this text, as Jesus repeatedly and unashamedly insists, “my flesh is real food and my blood is real drink” ( Jn 6, 55). Because I am flesh and blood, Jesus needs to become flesh and blood if he is to communicate divine life to me. The Eucharist needs to be the living flesh of the Lord Jesus if like is to communicate with like. Otherwise, our faith is just make-believe, and any communication between God and man ideal rather than real. The flesh of Jesus grounds our faith in human reality without compromising the fullness of his divinity. made wholly and faithfully available to the children, then learning and loving begin to go hand in hand. This is the complete opposite of stale catechesis. It is rather a fulfilment of Jesus’ promise, “As I, who am sent by the living Father, myself draw life from the Father, so whoever eats me will draw life from me” (Jn 6, 57). Of course, knowing about the truth and receiving him in Holy Communion are two different things, but the one leads on to the other. In fact, Jesus goes out on a limb here to teach the truth, despite an increasingly hostile crowd, just so that the truth might be made known before the gift of his body was to be given up on the cross for the life of the world (Jn 19, 17). The principle of life that we receive in the eucharist is thus a life that has been given up for us and proved victorious over sin and death. Jesus stood out for us that day in Capernaum (Jn 6, 59), and we too must be bold in standing up for the truth that he handed on to us as food for a heavenly journey. “It is the spirit that gives life, the flesh has nothing to offer” (Jn 6, 63). Jesus is trying to help his audience understand the “intolerable language” (Jn 6, 60) he has been using. The key to understanding is not that Jesus offers us any human flesh, but rather that he offers us his own fles – animated and transformed by his divine spirit. The flesh of itself has nothing to offer, but united to his divine person it becomes the vehicle for our salvation. (Jn 6, 62). Only Peter, groping in the dark as all around him are losing faith in the Lord, is given the grace to perceive the reality of who it is that is teaching such shocking doctrine: “You have the message of eternal life, and we believe; we know that you are the Holy One of God” (Jn 6, 68-69). Clearly, Jesus is either God the Son or he’s mad. There can be no intermediate position, so graphic and all embracing are his claims. Any chink of unbelief or compromise with the Good News in any of his followers is utterly exposed by Jesus’ words. It all becomes too much for Judas, and John clearly locates his fellow apostle’s loss of faith in Jesus from this moment on: “Jesus knew from the outset those who did not believe, and who it was that would betray him” (Jn 6, 64). Such teaching takes no prisoners. So why does Judas lose faith and Peter not? Were they not both called to sublime intimacy with God in their separate apostolic callings? Those eyewitnesses to the words and works of the Lord do not tell us, and we can never know for sure. Suffice it to say that Peter never took his eyes off Jesus in the midst of this most challenging of all Jesus’ teachings, whereas it seems that Judas did. Perhaps he thought he knew a better way of bringing in the kingdom of God – more political and away from the vagaries of a mad Rabbi. We may speculate, but we shall never know. May God give us all the grace to follow Jesus wherever he may go.